In America, France's leading philosopher of postmodernism took to the freeways to produce a collection of traveler's tales from the land of hyperreality. From the sierras of New Mexico to the streets of New York and LA by night-- a sort of luminous, geometric, incandescent immensityA"--Baudrillard mixes apercus and observations with a wicked sense of fun to provide a unique insight into the country that dominates the world. 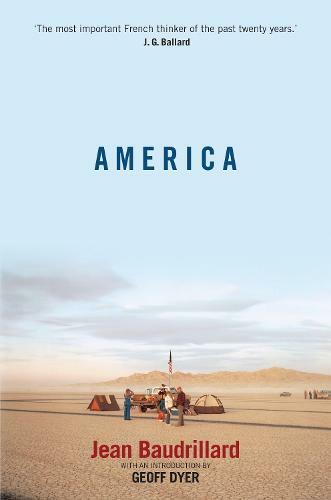 In this new edition, leading cultural critic and novelist Geoff Dyer offers a thoughtful and perceptive take on the continuing resonance of Baudrillard's book in Obama's America.